Barre City, Sunday, June 22nd, 3-5 p.m. Directions:Main Street in Barre, turn at Beverage Baron onto Brook Street. Go 2 blocks to driveway on left, just before Pleasant Street. 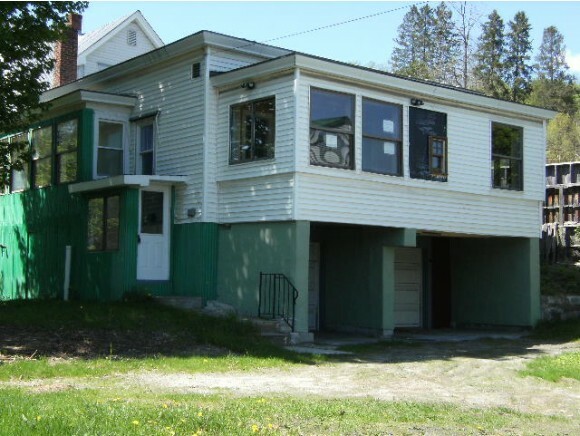 For more information or to make an appointment to see this property call Tina at 802-522-9216. Cute little 2 bedroom starter home. Easy to maintain ranch with 2 car garage under. 2 bedrooms, 1 bath ready for a handyman or woman to cosmetically upgrade. 3 season front porch and hardwood floors. Working elevator to basement/garage.